Some time ago I sat in a chair opposite a man who had a level of power that would either allow or disallow a testimony of Christ’s love and redemptive power to be heard. This testimony was mine, given to me by the Lord Jesus to share with the world. “Go out and feed many” is what the Lord Jesus requires of me. As my heart pounded with anticipation of what print media could accomplish, I began to pour out my heart to this man. Revealing my past I shared the ultimate victory of new life, His life, Jesus Christ my Lord. At the end of our meeting the man said, “No” to the sharing of God’s amazing grace. The possibilities of what could have been achieved were dashed. I was filled with disappointment. Christian Life Magazine prints the name of Jesus and unapologetically proclaims the gospel of Jesus Christ edifying the Child of God and evangelizing into the ripened harvest fields. We are calling for “Ministry Messengers” and “Gateway Messengers” to send this gospel of hope into all the world. Our deepest gratitude goes out to our Ministry Messengers who faithfully give their gift of $55.00. For this tax deductible donation Christian Life Magazine gives back to the messenger a bundle of magazines to share with those who need them! All remaining funds go to our digital and radio publications. We overcome by the word of our testimony and the blood of the Lamb, thank you! Christian Life Magazine is proud to introduce our digital donation portals! As a Gateway Messenger your ministry will receive 40% of every “donate to read” ordered through your free portal address. Here’s a closer look! One of our Gateway Messengers is The Bethesda House of Oskaloosa, Iowa. Anyone who wants to financially bless this awesome restoration ministry can go to BethesdaHouse.ChristianLifeMagazine.org. Christian Life Magazine will sow 40% of your “donation to read” back into this God-blessed ministry! 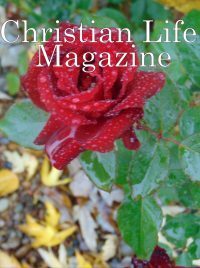 During our first year Christian Life Magazine has gifted over 2000 pure gospel publications reaching many for the Kingdom of God through our faithful Ministry Messengers. Since July of 2018 Christian Life Magazine Radio has reached tens of thousands of listeners on 99.3 The Truth FM. This year we are introducing Gateway Messengers, a program designed to distribute the gospel message through the World Wide Web! The gospel message saves lives, it certainly has saved mine. Please consider being a Ministry Messenger, Gateway Messenger, and/or a Radio Sponsor today. Go to: MinistryMessengers@gmail.com and express your interest or refer a friend.